Discover the volcanic island of Ischia and its numerous hot springs! Ischia is an active volcano with more than 100 hot springs scattered all over the island. 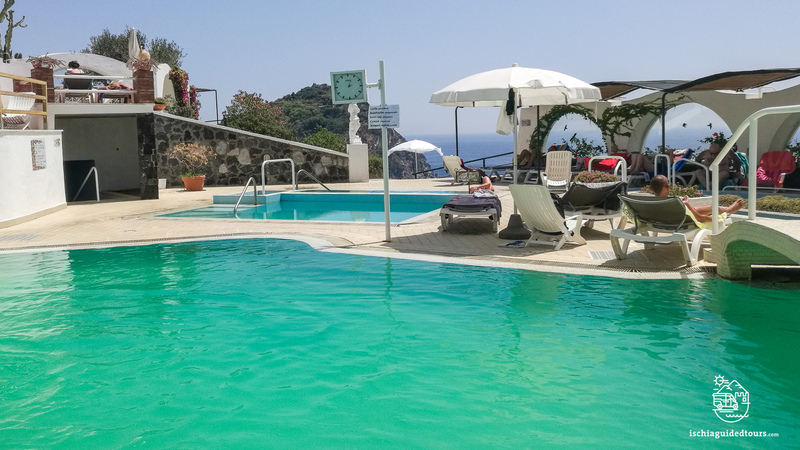 Ischia thermal water has been known and appreciated since ancient Greek and Roman times and here you can find some of the oldest spas with more than 2000 years of history. Natural saunas in grottos, beaches with hot sand where you can cook underneath, beautiful parks surrounded by luxuriant gardens; pick out one of the following tours and indulge in the beneficial properties of the thermal water for a whole new experience of wellbeing and relaxation. 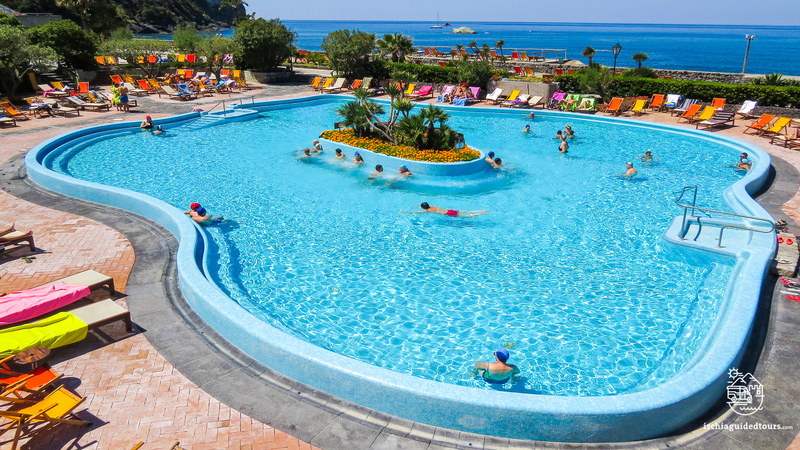 Negombo Thermal Park is one of the most popular thermal parks in Ischia, located in the beautiful Bay of San Montano in Lacco Ameno. The park is a perfect combination of contemporary art installations, plants and flowers and 14 pools of different temperature and size. The resort offers also a private beach service, Turkish baths, Jacuzzi baths, massage and a beauty treatment area, a self service bar and a restaurant onsite. 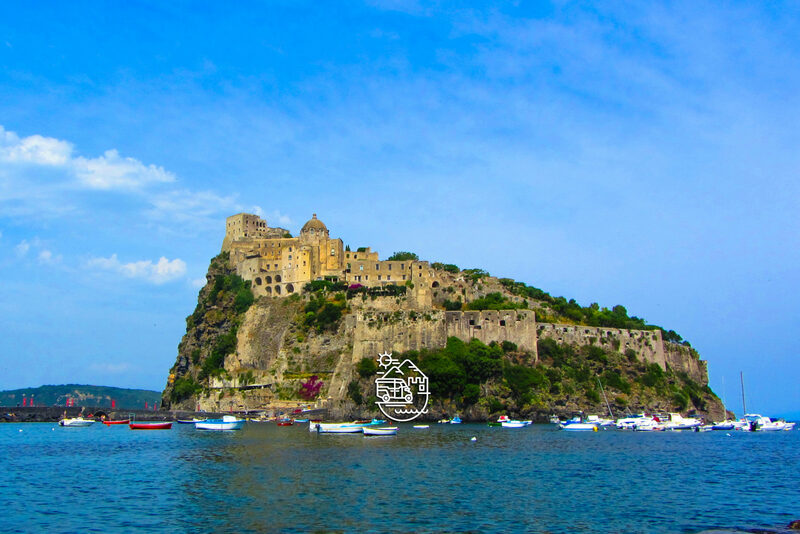 The tour starts at around 10:00/10:30 from your hotel or from any port of the island if you are visiting Ischia from the mainland for the day. After spending a relaxing afternoon in the spa, we collect you from the park, in accordance with your departure time, and take you back to your hotel or the port. 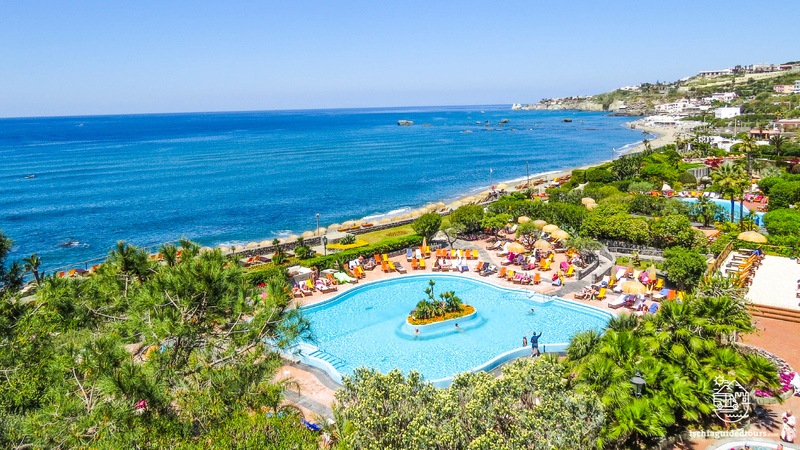 Poseidon Thermal Park is the largest thermal park in Ischia, located in the enchanting Bay of Citara, known since the ancient Romans for its hot water springs. The park extends over mainly one level with more than 20 different pools (outdoor and indoor), Jacuzzi baths, waterfalls, Kneipp baths, a natural sauna in a grotto. A modern wellness center is equipped for different beauty treatments, water treatments and massages. The use of a large private beach with sunbeds and parasols is included in the entrance fee for guests. The tour starts in the morning from your hotel or from a port of the island if you are visiting Ischia just for the day. We drive through the different towns of the island, stopping several times for photographs at the most iconic locations such as Ischia Ponte and the Aragonese castle (from the outside), the center of Lacco Ameno with its “Mushroom Rock”, the inland towns of Serrara Fontana and Barano with Maronti Beach and we take a walk in the picturesque village of Sant’Angelo with its colorful alleys. At around midday we reach the Bay of Citara and drop you off at the entrance to Poseidon Thermal Park. You can spend around 3 hours in the park, enjoying the thermal water pools, and having lunch or snacks at the onsite restaurants. We pick you up from Poseidon Thermal Park, in accordance with your departure time, and continue the tour, passing the towns of Forio, Lacco Ameno and returning to the port of departure or back to your hotel. Sorgeto is a one-of-a-kind place, an open spa where you can swim into the ocean and feel the hot water underneath. Sorgeto spring is located in a cove, reacheable via steps (around 200) or by boat, and it is one of the few free and natural hot springs that you can visit in Ischia. The tours starts in the morning from your hotel or from any port of the island if you are visiting Ischia from the mainland for the day. We pass through the different towns of the island, stopping for photographs at some of the most iconic locations such as Lacco Ameno with the “Mushroom Rock” and Santa Restituta’s Square, the “Belvedere di Zaro” and the “Lovers Rocks” in Forio. We reach the village of Panza and we drop you off at the top of the steps to reach the Bay of Sorgeto where you can spend around 2 hours in the natural hot water. On site, there is a restaurant where you can buy drinks or snacks for lunch. After the stop at Sorgeto we continue our tour visiting the picturesque fishing village of Sant’Angelo, Serrara Fontana and the stone-houses, Castello Aragonese and the village of Ischia Ponte, The tour finishes back at your hotel or the port of departure. 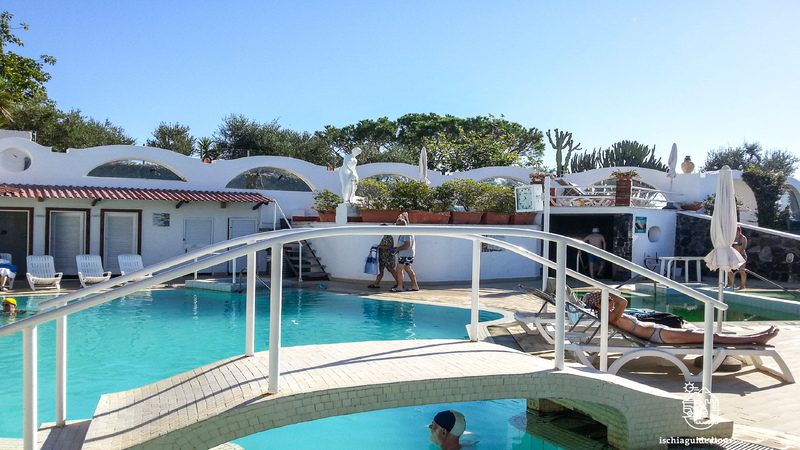 Tropical Thermal Park stands in an amazing location, overlooking the village of Sant’Angelo and the sea. There are 10 thermal water pools with temperatures that go from 18° to 40° C, a natural sauna in a grotto, Jacuzzi baths, Kneipp baths, Roman grottos, solarium terraces, a snack bar and a restaurant. We drive through the different towns of the island, stopping for photographs at some of the most iconic locations such as Ischia Ponte and the beautiful Aragonese Castle (outside), Lacco Ameno with the “Mushroom Rock” and Santa Restituta’s Square, the Belvedere di Zaro in Forio and the quaint village of Sant’Angelo. We drop you off at the entrance to Tropical Thermal Park where you can spend around 2 hours enjoying the pools and the thermal waters. We collect you from Tropical Thermal Park to continue our tour and we finish the tour in the afternoon at the port of your departure or at your hotel. The price of the tour doesn’t include tickets to the thermal park (€ 22 per person ) or lunch. Tropical Thermal Park is open from the beginning of April to the end of October. Swimming caps at Tropical Thermal Park are mandatory. The tour starts from your hotel or from Ischia Port if you are visiting the island for the day. We pass through the different towns of the island, stopping at the Aragonese Castle for photographs, Lacco Ameno, Forio and Citara’s Bay. We take a walk into the lovely pedestrianised village of Sant’Angelo and visit the historical centre. From the square in Sant’Angelo we take a path to reach the volcanic beach of Fumarole (20 minutes walk). Fumarole Beach is an incredible place, a beach where the sand reaches a temperature of almost 200°C. Fumarole Beach is known locally for the therapeutic treatment of “sabbiature” (sand baths) or for a very special tradition of cooking food underneath the hot sand. After stopping for photographs at Fumarole Beach we will reach a nearby agriturismo overlooking Sant’Angelo and the beach. Here you can spend around 2 hours having lunch on the beautiful terrace and enjoying the outdoor thermal water pools (2) and the natural saunas in grottos (2). After the stop at the agriturismo we continue our tour through Serrara Fontana and Barano, and get back to Ischia Porto in the late afternoon. The price of the tour doesn’t include lunch or entrance to the spa area of the agriturismo (€ 10 per person). The tour starts in the morning from your hotel or from any port of the island if you are visiting Ischia from the mainland. We drive through the different towns of the island, stopping for photographs in Ischia Ponte at the beautiful Aragonese Castle (outside), Lacco Ameno, Sant’Angelo and Forio. We then take you to a 4 star hotel, with a spa and wellness center, where you can spend around 1 and a half hours enjoying two hot outdoor pools and one indoor thermal water pool. The hotel has a snack bar onsite where you can have a snack or light lunch. We collect you from the hotel to continue our tour and we drop you off in the afternoon at the port of your departure or at your hotel. The price of the tour doesn’t include lunch or the entrance at the thermal area to the hotel (€ 15 per person). Swimming caps are mandatory. All tours include micro taxi/regular taxi, driver and English speaking licensed guide on board. The itinerary of the tours may change due to unpredictable factors such as weather or traffic. The price of the tours doesn’t include lunch, drinks or entrance fees where applicable. Official tour guides are the only people authorized by the Italian government who are allowed to run tours legally after passing the regional exam and are then licensed as professional tour guides.